When it comes to warehousing, the options are endless. Warehousing and storage are going to depend on the needs of your particular business. What you store or ship largely determines the type of space you need to select. 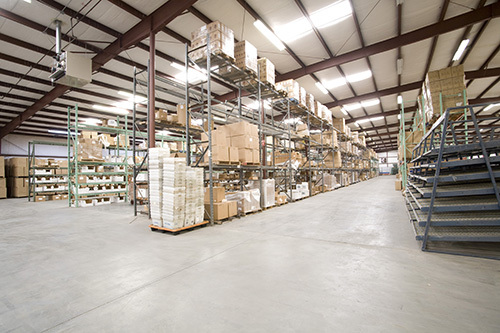 Your larger warehouses usually provide multiple options of specialty storage, while others focus on specific ones. How often does the product move? If a warehouse provider is generating income on moving product in and out on a frequent basis, a portion of that revenue helps to pay for the space and therefore can be offered a more competitive storage rate. Also, you should consider where a warehouse is located as this will affect the cost of the space. We have discussed location in the sense of geography on recent posts. Obviously real estate in certain parts of the country is more expensive than in others. But now let’s get more granular. The cost of a brand new facility in the center of a metro area will cost a lot more than an older building in a town 45 minutes away. Consider what you need. If you’re shipping to consumers, there are likely no advantages to the more expensive building. The answers to these questions can help point you to the proper storage solution. Basically, larger items, lower sales price, lower turns will force you to find lower cost storage alternatives. Otherwise, your cost structure will be impacted negatively. But regardless of the specific characteristcs of your product, storage costs need to be calculated and compared. Ambient Storage is for storing goods that do not have temperature or humidity control needs. Majority of items are stored here (with the exception of foods and perishables). Cold storage is utilized for both refrigerated and frozen goods. Includes food, certain drugs and other perishables. HazMat storage space varies depending on type of hazardous materials being handled. Multiple certifications and special requirements for handling of materials. You can read more about warehousing and storage options in our latest guide on selecting the perfect fulfillment partner for your business. We’d also welcome you to contact us anytime with questions regarding your warehousing and storage needs. After all, it’s what we do!